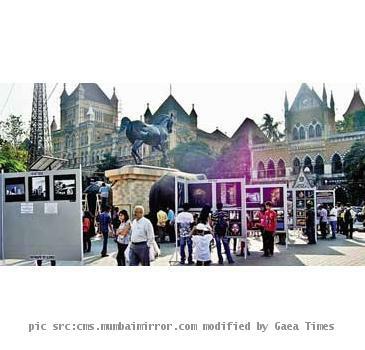 MUMBAI, INDIA (GaeaTimes.com)- The much-awaited Kala Ghoda Art Festival has started in Mumbai and the excitement of the music lovers and film buffs have reached a crescendo. For Rupali Guha, a debutante director, the event, however, turned out to be nostalgic. The inaugural ceremony included a retrospective of the timeless gems of ace director Basu Chatterjee, who was her father. The festival which is in its 12th year now began yesterday. The famous film ‘Rajnigandha’ was screened at the Coomaraswamy Hall and the daughter of the director found to her delight that it was packed with the viewers. The lady said that she was happy to see so many people watching the classic film directed by her late father at the Kala Ghoda Arts Festival. This 8 day festival will comprise of the screening of some other films of the director like ‘Shaukeen’ and ‘Chit Chor.’ The festival is in full swing and the lovers of jazz and western classical music are looking forward to the live performances by the artists and popular bands who will be participating in the festival. The visitors some of whom have come from abroad are delighted to see the fusion of so many art forms, needless to say, the variety and splendour of Indian art forms. This year loudspeakers are not being used in the festival for adhering to the sound level restrictions. The Kala Ghoda Art festival also showcased performance by singer Rekha Bharadwaj who thrilled the listeners with her rendition of tracks like ‘Darling’ and ‘Genda Phool.’ The last day of the festival will witness performance by singer Sonu Nigam as well.